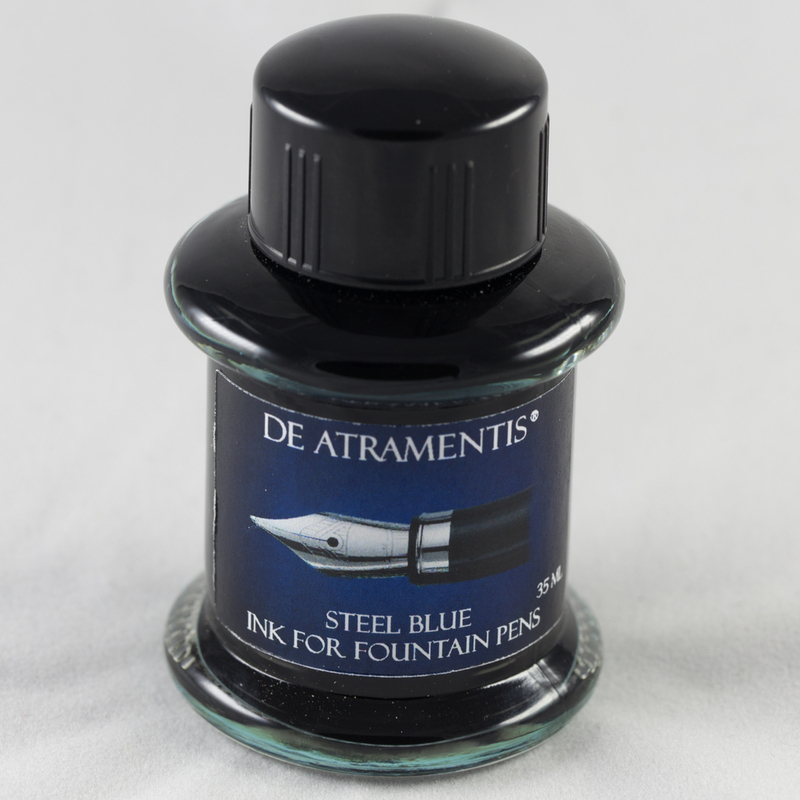 A visit to the city today provided far too much temptation and I returned home with four more bottles of De Atramentis ink. Three are scented: Licorice, Bamboo and Sea Breeze; and the other is Steel Blue. Sea Breeze is a deep blue (called Atlantik Blue on the label) with the scent of Old Spice aftershave (I kid you not), Bambo is a mid-green with a grassy scent, Licorice seems black but is really a black-green that smells just like Galliano Sambucca, and Steel Blue is a nice mid-blue. My database is a bit biased against De Atramentis at the moment so I don't expect to be inking these up for at least a couple of pens.